How much has the New Order been winning lately? 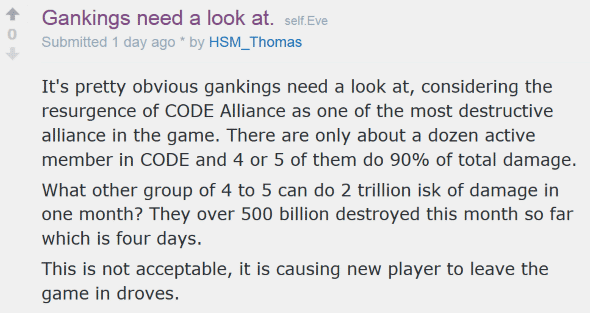 ...We've been winning so much that the Anti-Gankers have no choice but to beg CCP to stop ganks, because they can't stop ganks themselves. (So much for all the "CODE. gankers aren't having any impact" denialism!) Read their suggestions on how to nerf ganking again, if you dare. Despite all our constant victories, we haven't gotten tired of winning yet. So our brave warriors kept on winning, right on through the week of February 4th @ 00:00 EVEtime through February 10th @ 23:59 EVEtime. 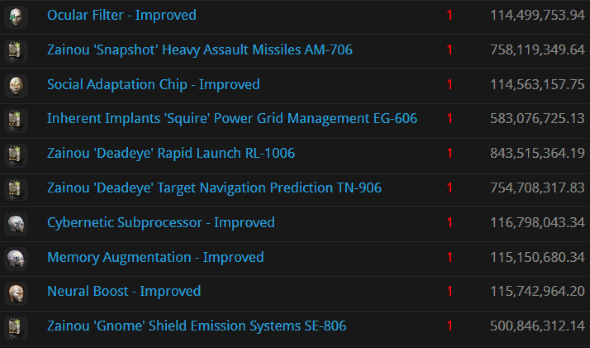 If you want to see more evidence of the absolute necessity of the Code, look no further than the recent trend of mining battleships. Another of these beasts was slain this week: Intar Baribar's mining Megathron, which had the dubious distinction of being undecuple-anti-tanked. Agent Arden Elenduil defeated it in a fierce battle. Oh, how that battle raged. Goofuses haven't gone extinct quite yet, and so Hulks haven't either. Bachuus brought out his bling-fit Hulk and engaged in unlicensed mining. It only took a single Catalyst to bring him down, piloted by Agent Guybertini, a man who knows a thing or two about killing miners. 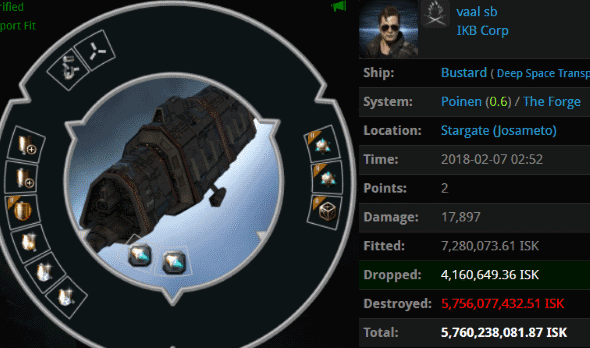 vaal sb was too cheap to buy a freighter, but too bot-aspirant not to lose billions of isk anyway. His Bustard was busted by Agents Luna Nightblood, Ralliana, and Underpaid Ship Mechanic. Sometimes the Loot Fairy gets confused and good things drop, but not today. Our Agents were far more concerned about defending the honour of the Code, however. 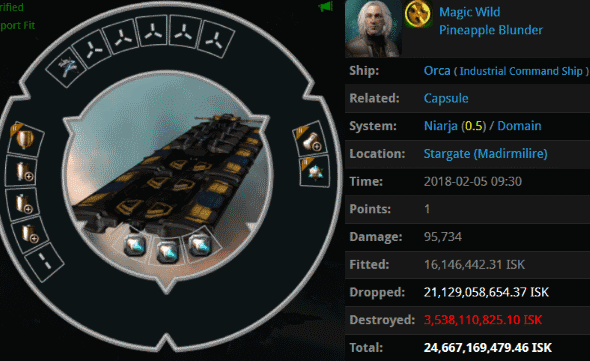 Apparently Magic Wild got distracted in the middle of designing his Orca fit and forgot to finish it. 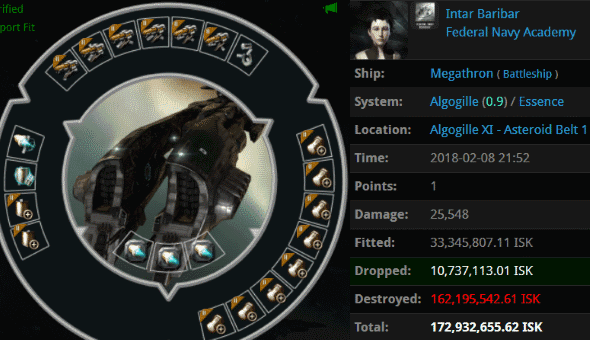 His poor memory might also explain how he forgot to buy a New Order mining permit, which everyone should know by now is required for all Orcas in highsec. Agents Dead Blue Whale, Taxman Daniel, Tax Collector KarlMarx, Tax Collector BokChoy, Tax Collector Kittens, Tax Collector Richard, Australian Excellence, Tax Collector Max, Pod Destroyer Molly, Tax Collector HongMei, Tax Collector Aruka, Tax Collector Hill, Tax Collector Stroheim, Hermann Fizzleblade, Jack Fizzleblade, Franz Fizzleblade, Trump The King, Archibald Fizzleblade, and Ektallion gave Magic Wild a gentle reminder. PushX is a hauling service--the main rival to Red Frog Freight. This message was taken from the PushX Discord channel. As you can imagine, both of these hauling conglomerates have been thinking about us a lot lately. Thus far their only defense against our gankers has been to charge their customers higher rates. 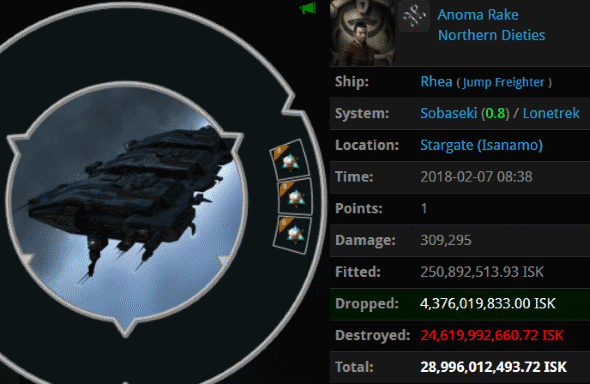 Anoma Rake probably felt safe once he got his 28.9 billion isk jump freighter into a 0.8 security system. I mean, how many gankers would it take to kill him there? 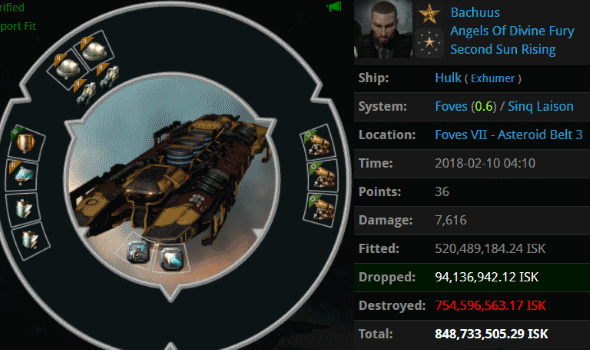 A truly massive gank fleet--with no fewer than 50 members of the mighty CODE. alliance--went forth to victory: Agents Dead Black Whale, Dead Orange Whale, Dead Purple Whale, Dead Geen Whale, Dead Blue Whale, Dead Red Whale, Tax Collector KarlMarx, Tax Collector Aruka, Tax Collector HongMei, Pod Destroyer Molly, Tax Collector Max, Tawny Rozei, Tax Collector Kittens, Sherri Rozei, Australian Excellence, Taxman Daniel, Christine Rozei, Tax Collector Richard, Trump The King, Ruby Rozei, Tax Collector AynRand, Tax Collector Stroheim, Dead Gray Whale, Dead Scarlet Whale, Dead Pink Whale, Tax Collector Hill, Tax Collector BokChoy, Dead Brown Whale, Tax Collector Larry, Shanade Rozei, Tax Collector Kimi, Giselle Rozei, Tax Collector Yuna, The Confiscator, Tax Collector Buck, Tax Collector Fuemi, Tax Collector Alison, Tax Collector Shardani, Daniel Chanline, tumblr ptsd, Serious Web Developer, erobb, patyooki, Booka Shade, PogChampion, James BIG BONED, Shy Elf Trap, oink piggu, Milkmypigeon, brainlet, Mining Lord 1999, Lobo El Lobo, Ektallion, and Ding Dong MingMong. Our numbers are growing. And the rebels are growing more frightened each day. Icing on an already delicious cake. 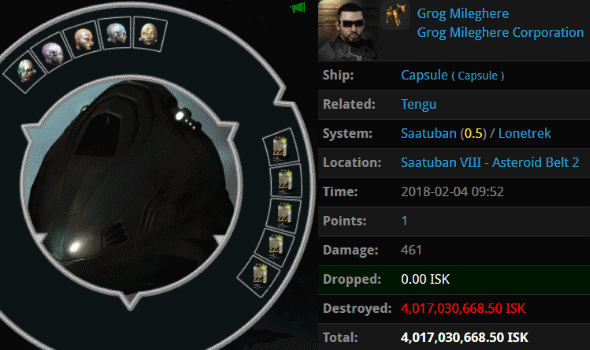 Grog Mileghere's 4 billion isk pod proved to be no match for Agent Liek DarZ, who soundly beat the carebear in an honourable 1v1. Agent Liek chose to bring a Catalyst to the fight instead of a Capsule, though it was Liek's commitment to the Code that proved to be decisive. Grog simply didn't know the Code or the game well enough to prevail. That's not to say that Grog is completely ignorant--he knows how not to fit a Tengu. For some reason he fits them that way anyway, though. When it came to his implants, Grog spared no expense. He should try filling his head with knowledge instead. wow just wow that cringe fest that is Thomas. Welcome to the ex-ag and hsm who have recently joined our cause. Lol, welcome faildo! I'm sure a shitter such as yourself will melt down soon. New Order Logistics is recruiting! ^^ all the all the ag shitters? So pilots for PushX and Red Frog pilot AFK? Bruh, who puts a mining foreman on a Tengu.